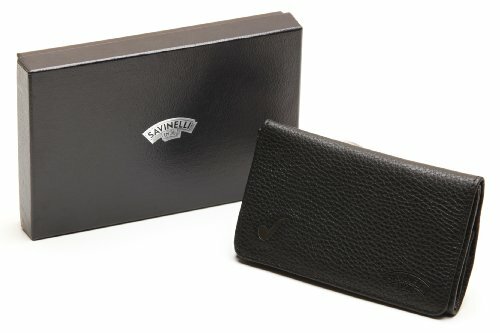 Savinelli Textured Roll-Up Tobacco Pouch - Black by Savinelli at Serious Jones. Hurry! Limited time offer. Offer valid only while supplies last. Brand: Savinelli Model: Nappa Roll-up Length: 5.72 in. / 145.38 mm. Height: 0.70 in. / 17.98 mm. Width: 3.29 in. / 83.80 mm. Weight: 2.8 oz. / 84 g.